Just because it’s getting nicer out, doesn’t mean you should stop sleeping in. And what better way to spend your weekends than under a down alternative comforter? And lucky for all of us, there’s a sale on ‘em thanks to Amazon. 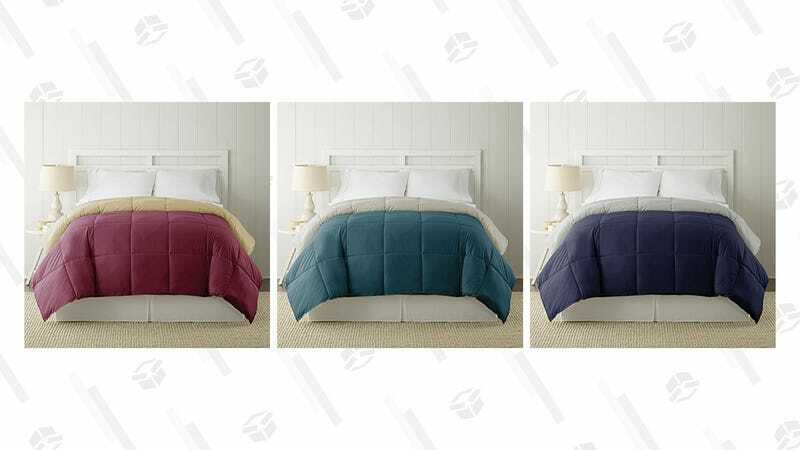 These comforters are of “medium warmth,” so they should still be useful throughout the spring and summer. Better still, they’re available in a number of different colors and sizes, from twin to king, starting at about $18. Just make sure you order quickly, because this is a Gold Box deal, which means it’ll disappear by the end of the day or until sold out.